My name is Frank Duenzl and I am based in San Diego, California. My galleries will give you a very good idea into the type of photos I will create for you on your wedding day to capture that magic moments. I specialize in destination weddings and will travel everywhere you want me to! People say about me that I have a very friendly and outgoing personality that quickly sets people at ease. I gonna make you smile! Pricing for my packages you will find here. Please note that weddings are booked on a first come first served basis. My shooting style includes traditional posed formals along with photojournalism and of course loads of candids. There will be candids, totally posed images, compositions with flowers, jump in mid-air, running couples, strike a pose if you want to, a fairy-tale castle as background or just some kitschy pictures with or without a nice sunset - you name it! Black & white, color or vintage-style - it's up to you! I will do everything I can do to make you look good! I am equipped with the best lenses Canon has to offer, from wide-angle to telephoto and I shoot with full frame Canon DSLRs in RAW-format. So, why do I shoot RAW instead of using the JPEG-format? RAW captures raw uncompressed data including a much broader range of color and contrast than JPEG. Raw conversion software allows to manipulate more parameters (such as lightness, white balance, hue, saturation, etc.) after the photo-shooting. With JPEG it's different. Once the photograph is taken, the camera fixes all data into the JPEG-file. If the white balance is off, it's a pain to fix it in Photoshop later.What's even worse is to get rid of image noise, which can occur if the camera is set to high a ISO-value (more sensitive to light), it's almost impossible to fix that in Photoshop, but much easier in a RAW-converter such as Lightroom. And sometimes I want to use this high sensitivity to be unobtrusive, or to take pictures without flash to make the light look more natural. In order to provide you with high quality images, I chose RAW over JPEG. The RAW format might take longer to post-process, but the resulting image quality is far superior to JPEG. All of my images are enhanced and fully color corrected if needed. In addition to color photography I will provide you with some black and white or sepia tone or vintage photographs. Also, those hours spent in the digital darkroom are included in my packages at no extra costs! I offer consultations prior to your event so that we can customize the product to suit your personality and style. The first step as we collaborate in telling your story is to get together for a chat so that we can get to know each other a little bit. I have learned quite a bit about my wedding couples and their desires. One of the best things I can do is listen and learn. Do you have something in mind, that you want me to realize for you? How about your wedding photographs in black & white or vintage style?Perhaps you've found something already that you like at my galleries that you would want me to capture in a similar way? 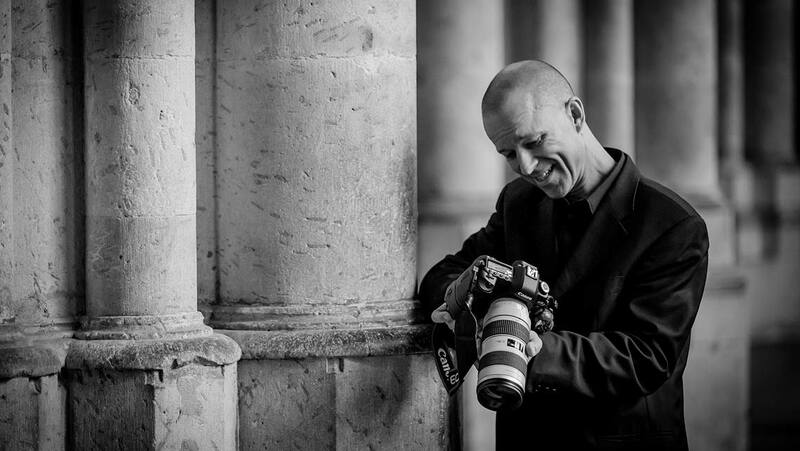 I'd be delighted to sit down and hear your story and also talk you through the process I use to produce the photos you'd love to see in your wedding album. Talk to me and let me know what you want. My job doesn't end after I've taken the last picture. Instead I will spent hours in the "digital darkroom" to check each picture carefully. All of my images are enhanced and fully color corrected if needed. In addition to color photography I will provide you with some black and white or sepia tone photographs. All those hours I am spending in the digital darkroom are included in my packages at no extra costs! All files come in high resolution on DVD-ROM without watermarks. For your convenience there is also a low resolution included for quick viewing on your computer, emailing or uploading to your blog or Facebook. Personal/non-commercial use of all photographs is granted. All files come in high resolution on DVD-ROM without watermarks. For your convenience there is also a low resolution included for quick viewing on your computer, emailing or uploading to your blog or Facebook. 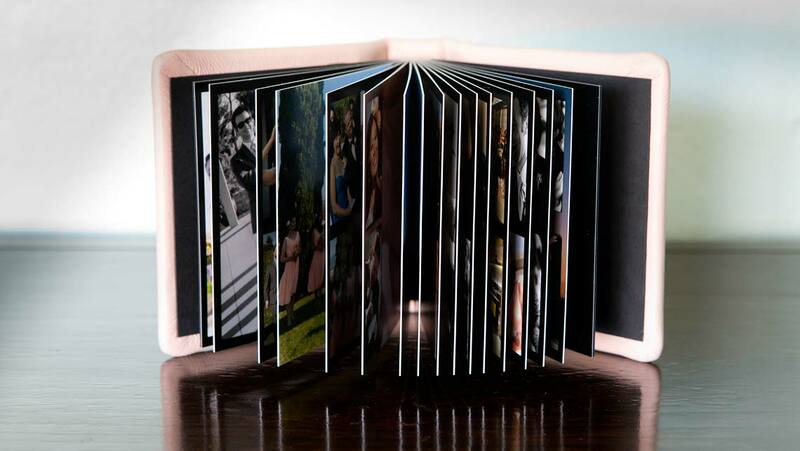 If you haven't already booked it in the first place, I also offer to create beautiful albums for you and your family, carefully crafted by Kiss wedding books. KISS Books come in ridiculously good-looking colors and leather or linen. Go check the album colors here. Of course I can also provide you with some fancy prints, or your own password-protected Web gallery. Why of all things weddings? I really used to not like wedding photography at all. Traditional wedding photography had been pretty cheesy, badly posed and/or boring photo-shootings in a studio. So I took the "boring" out of "traditional"! Of course I do take traditional group shots and family pictures in addition to my more lifestyle and photojournalistic approach to wedding photography. But if you cover a wedding in a photojournalistic way, there are so many things to discover, those moments, all those candids I can shoot! Once you've discovered the fun in wedding photography as a photographer, you can take pictures far more interesting and beautiful than in fashion photography. The flower girl glancing at you with those big round eyes, the couple whispering to each other, the bride stealing a peep. The father of the groom who started clapping his hands to the rhythm of the music until everybody at the church joined him. There are still posed images, but "posed" doesn't necessarily mean "boring". Some even love to strike a pose or jump in the air! Other than that I rather try to make a composition with the couple in a beautiful or interesting surrounding. Also, weddings are sooo romantic! IIt is always a pleasure to witness when a happy couple is tying the knot. I love the emotion of every single wedding I am a part of! I put a lot of time and effort into post-production to maximize the quality of each picture and to ensure you will receive fine art photography at its best. When my clients are happy, so am I! You need an awesome photographer for your destination wedding? You want me for your destination wedding? No problemo. I specialize in destination weddings and will travel everywhere you want me to! Of course you could also book a local photographer that your destination recommends, yet this can be a big gamble if you care about your wedding photographs. Although there are exceptions, in most cases hiring a resort photographer compares to eating at a fast food restaurant. The food satisfies your need to eat, but then you come to regretting it later. And you get the same old burger as everyone else! Even if you have your wedding in the most beautiful destination on the planet, you will spend the rest of your life regretting if your wedding photographs failed to capture those precious moments. If wedding photography is important to you, book a photographer you really like and have him come to your destination wedding. Great wedding photographs are a treasure, something well worth investing in. So if you're looking for the finest wedding photographer then you have no need to look any further. I will produce amazing images of your destination wedding you'll treasure for a lifetime. If you want to hear what happy couples have to say, find out at the testimonials page. When bringing me as your photographer to your destination wedding, you will be responsible to pay for the travel expenses, like airfare, transfers, meals, hotel rooms and fees for a rental car. Of course I won't charge you for first class tickets and food can be based per diem. Those additional travel fees will be minimal compared to the money you will be saving not having to feed the hundreds of guests who would have shown up to your wedding if you were to marry closer to home. 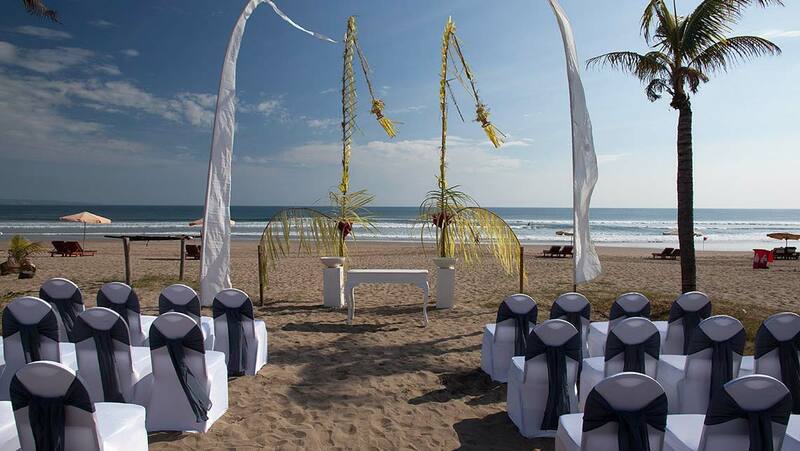 This is the most important reason why couples choose a destination wedding in the first place. You want some fine art prints of your favorite pictures, but you don't know where to get them? I can take care of that for you. Of course you could also order oversized photographs on canvas or Dibond, an aluminum composite material which makes for a very nice finish. What about some fancy black & white prints? Or would you rather have me create an animated slideshow with your wedding photographs, playable on your DVD-player, computer or smartphone? If you want to share your wedding photographs with your family and friends only, your own password-protected Web gallery might be the thing for you. 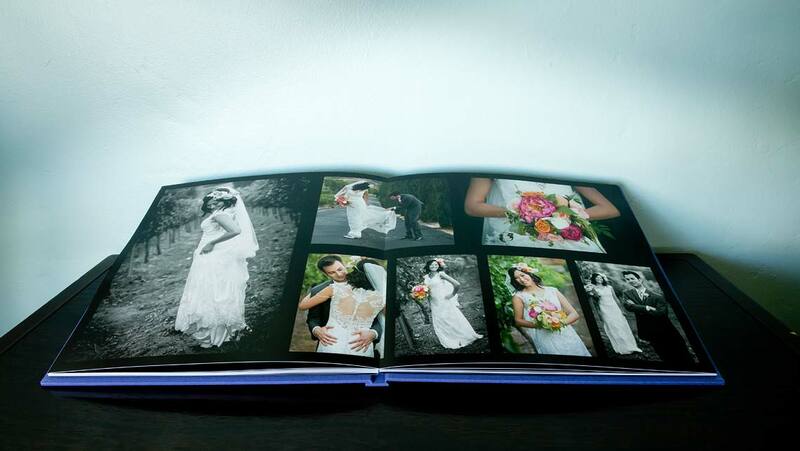 I also offer beautiful albums for you and your family, carefully crafted by Kiss wedding books. 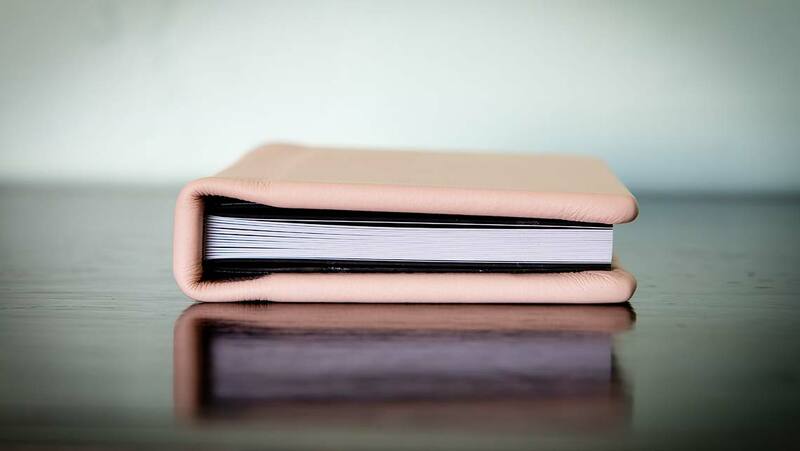 KISS Books come in ridiculously good-looking colors and leather or linen. Go check them out here. Haven't found what you want yet? Feel free to contact me now!